The first South African Adventure Summit brings the country's adventure community together to assist in creating a highly-driven and professional industry. South Africa is fast becoming one of the top adventure destinations in the world with a vast variety of activities offered by hundreds of operators. After attending a very successful 2016 World Adventure Summit in Alaska, Johan Radcliffe, Owner of the adventure holiday and activity directory Dirty Boots, returned home to South Africa motivated to create a similar event. "For a while, I have thought about arranging the first-ever get-together of the South African adventure community - operators, event organisers, participants and competitors. Attending the Summit in Alaska provided the stimulation to start working on it," he explains. Radcliffe has spent the past few weeks speaking to all the major players in the South African adventure industry to gauge their interest and to obtain an indication of their willingness to attend. "Without exception, there is a lot of excitement about the possibility of such a gathering. The emphasis will be on the technical aspects of adventure operations and our theme for the Summit will be 'KEEP IT REAL!'". Speakers for the Summit have already been confirmed. 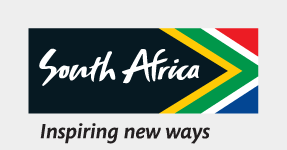 They will cover topics such as international and domestic adventure marketing, SANParks and adventure tourism, adventure tourism, regulations, risk management, and adventure guiding and guide registration. A highlight of the summit is one day of adventure activities, scheduled before the work starts. "We already have over 100 fully-sponsored seats available on different adventures in and around Cape Town, including kloofing, sea kayaking, sand boarding, chauffeured vintage sidecar tours, shark-cage diving, canopy tours, hot-air ballooning and many more great adventures," says Radcliffe. The proposed programme is included below. Reservations can be made by contacting the Dirty Boots office directly. With thanks to the major sponsors - ActivityBridge, SATIB, Ark, Cape Nature and Dirty Boots, the first South African Adventure Summit will be held over four days, from 26 to 29 September 2017 in the Overberg, Western Cape.